We’re always on the lookout to save money and time around Christmas — there’s so much going on! But there are some small things you can do to spend less cash and hours when gift-buying this year. Read on as we give you our ultimate 2018 Christmas gift hacks. Many people take part in this game with work colleagues, but why not do it at home with family too? It saves you buying a gift for everyone and can add a little bit of fun to the usual present exchange. If there’s a lot of children in the family, buying for parents and kids can get expensive, a Secret Santa is one way to reduce on costs and focus on the children’s gifts. A good idea is to set a budget and perhaps a theme — are you buying funny gifts like a mermaid swim tail, or something unique such as a personalised sweet tree? Of course, there is always the trouble that you’ll get someone you don’t know so well, but not to worry! Enter information about your gift recipient into the Online Present Finder tool and discover a tailored present to match their age and interests. Choose from different price ranges too and the interactive will find you a product within your budget. If you are doing a Secret Santa in the office this year too, download the ultimate Secret Santa Kit to make sure everyone knows how to get involved! 2. Lists, lists and more lists! Always make a list before you start your Christmas shopping — this goes for present and food shopping. If you know what you want to buy, you can focus on shopping around to compare prices and avoid buying gifts that you don’t need. Shopping with a list can also save you time as you know who you’re purchasing gifts for and which stores you need to head to. When it comes to buying gifts, list everyone who you’re buying for and their interests. Instead of asking them what they want for Christmas, give them a surprise! Use the Online Present Finder tool to input their interests and discover something that they’ll love. Making a hamper is a great alternative for someone who you’re unsure what to buy for. If you’re adding food and drink, make sure that they’re well within their use-by dates as people may not open them until the festive season is over. As well as classic items such as biscuits and cheese boards, either, outside the box with gifts such as real wine gums and botanical gin infusion tea bags. Although we want to try and get the perfect present first time round, sometimes it can be hard! 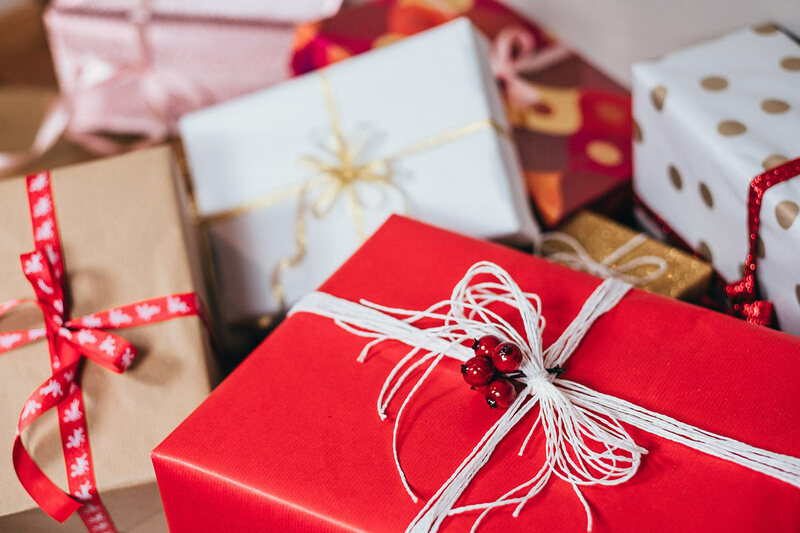 Make sure you buy from a company that has a no quibble return policy so that your recipient doesn’t have any trouble if they do want to take your gift back. Of course, using the Online Present Finder tool can help you avoid disastrous gifting and provide you with the perfect present in the first place! Remove the stress of picking the ideal physical gift by giving someone an experience day. Choose something for them to enjoy with their other half or pick an experience that you can do together. What about indoor skydiving for the thrill seeker amongst your family? Or a relaxing spa break for you and your other half? There’s bound to be something that they’ll enjoy doing! You can’t go wrong with classic gifts that most people enjoy — alcohol and sweets. But, consider switching it up this year and buying quirkier versions of these presents. What about a giant prosecco glass for the fizz fanatic in your life? Or a DIY rolling ice cream maker for those with a sweet tooth? They’re guaranteed to go down well but will stand out from all the other bottles of wine and boxes of treats under the tree! Follow our tips for a top Christmas this year!